The 2018 Nissan LEAF isn't yet available in Norway, but demand there is already through the roof. Norwegian media is reporting that Nissan of Norway has record some 4,000 pre-orders for the 2018 LEAF ahead of its launch. Globally, there are now over 40,000 new LEAF orders waiting to be filled. 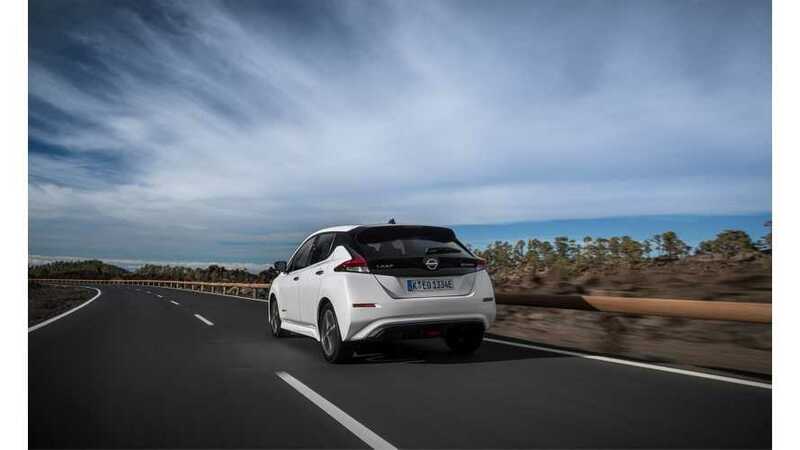 The Nissan LEAF never exceeded a level of 716 sales during a single month in Norway,high-water mark was set in October 2013, but with exceptionally high demand for the next generation model, that single-month mark of 716 could fall soon. From September 2011 through December 2017, some 22,781 LEAFs were sold in Norway with more than 10,000 used imported added to that, we believe. 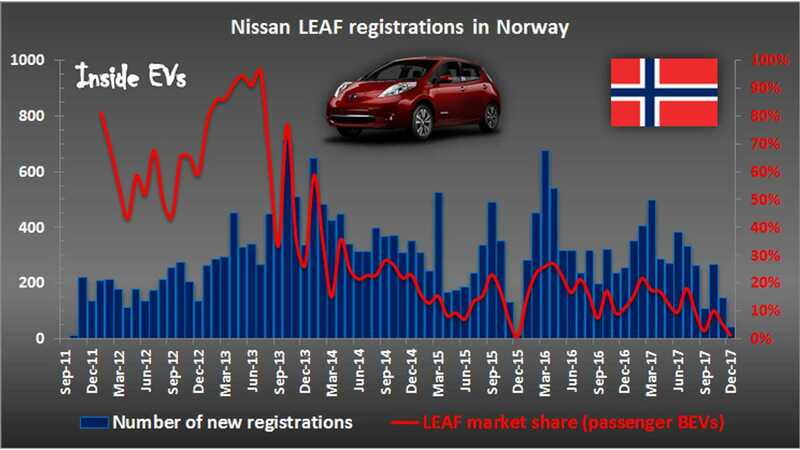 The New LEAF should rebound its market share among BEVs in Norway, however the golden era of more than 90% of all-electric cars sales belonging to the LEAF will never return.